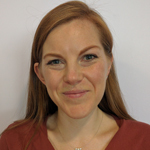 Harriet Ward has worked in Trusts across South East England since joining the NHS through the Graduate Management Training Scheme in 2010, and has been in Paediatrics since 2014. Her role as the South East England Paediatric Network Manager is to work with Dr Marilyn McDougall, Clinical Director, to design and deliver the network programme. This includes developing the strategy and deciding on the individual work areas the network will focus on. Together they are recruiting the programme team and ensuring patient and parent voices are captured.